says Professor Hazel Oxenford, an expert in fisheries biology and management at the University of the West Indies. says Prof Oxenford, who is based in Barbados. 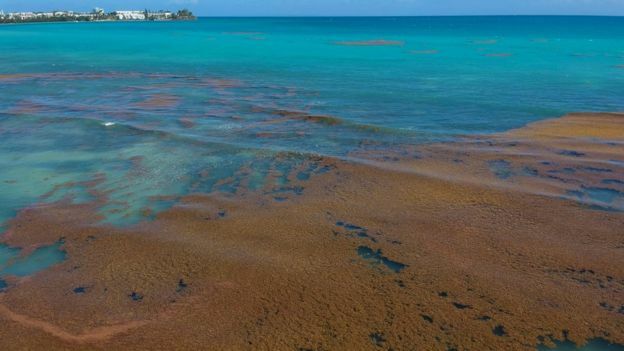 Antigua’s environment minister said recently. 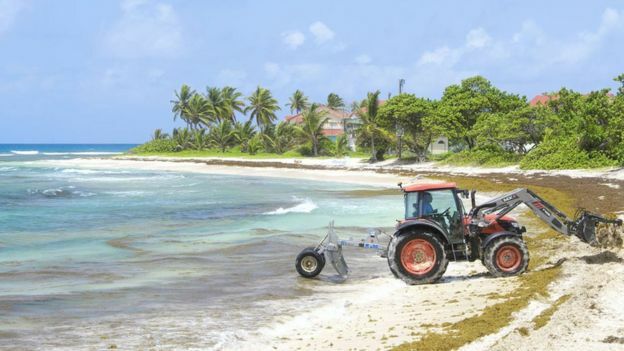 says Iris Monnereau, a Barbados-based fisheries expert with the UN’s Food and Agriculture Organisation (FAO). 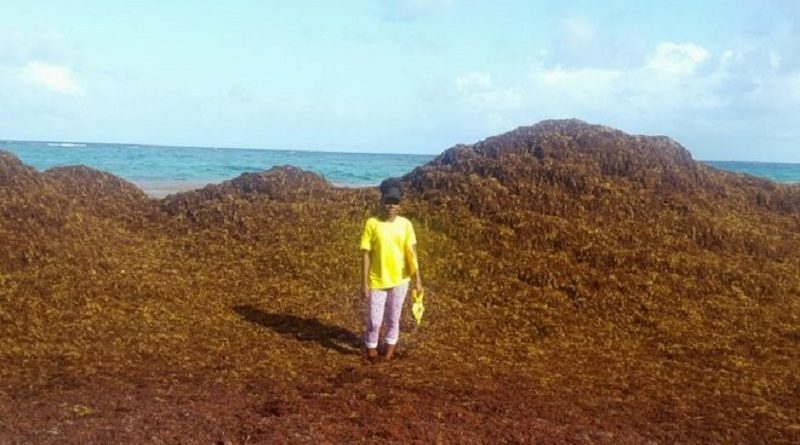 Long Beach in Barbados was one of those affected by sargassum in July. Image copyright: Barbados Sea Turtle Project. Says Carla Daniel of Barbados Sea Turtle Project. Says Larry Basham of Elite Island Resorts, which runs St James’s Club. 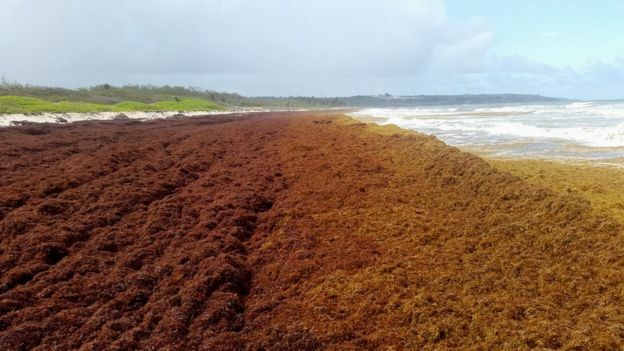 Sargassum floats in rafts across the sea. Image copyright: Getty Images. But he says it is not yet clear what has caused this huge new bloom. 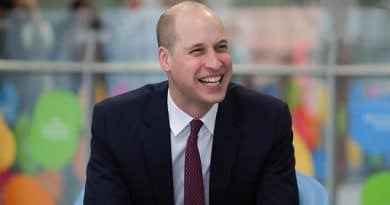 “We believe that it initially began as a result of shifts we observed in the climatological and meteorological indices – the waters were extremely warm in 2010; there were some shifts in the currents and winds,” says Mr Franks. Says Dr Mengqiu Wang of USF. 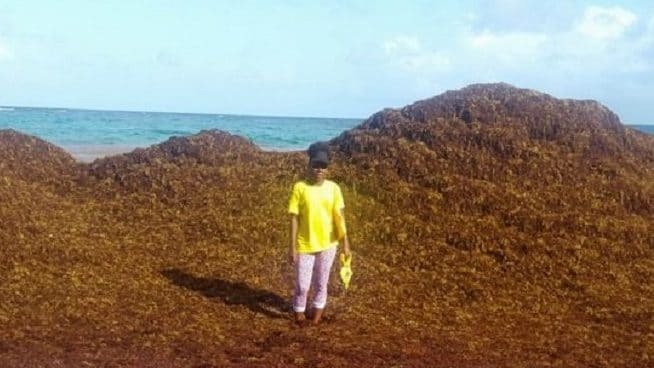 People are trying to get to grips with sargassum on affected beaches across the Caribbean. Image copyright: Getty Images.